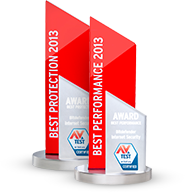 Enjoy 6 months free of The Best Antivirus! The license key has been sent to your email. If you didn’t recieve it, click here to resend it. Independent IT Security Institute AV-Test. Best Protection. 3 Straight Years. SECURITY is IN our DNA. Even the best security is worthless, if it’s hard to use. 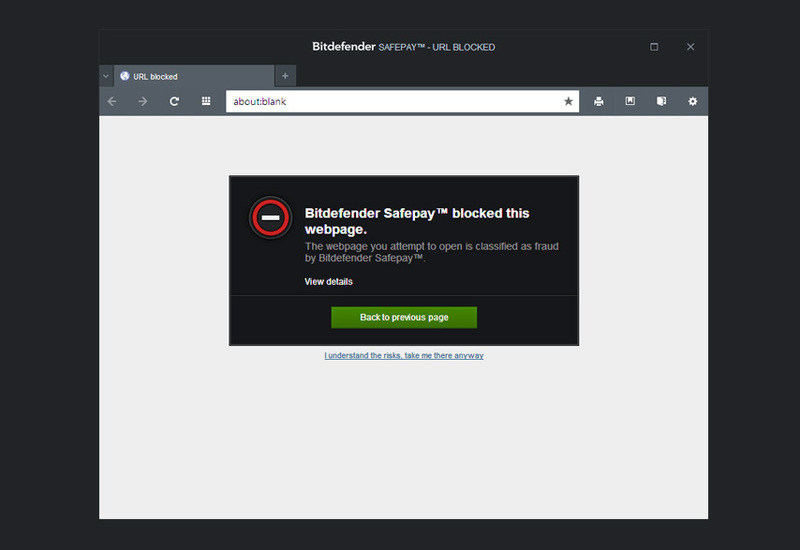 Bitdefender 2015 engages security with a single click. 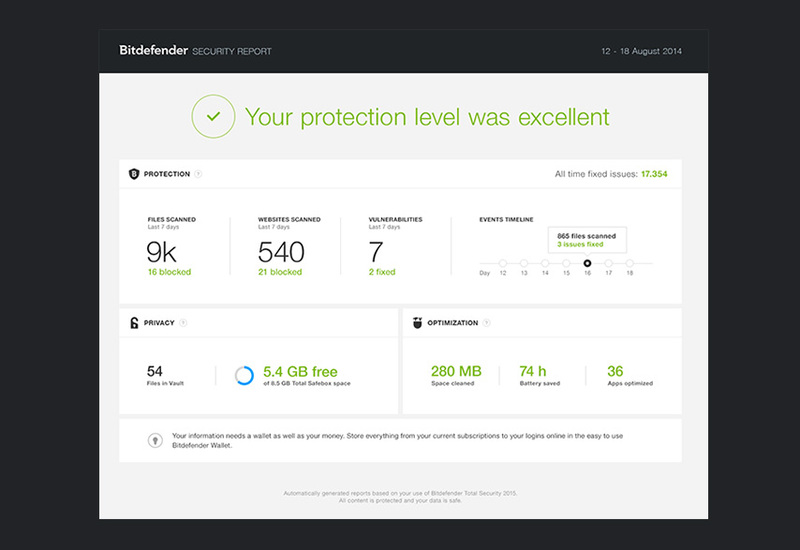 Bitdefender automatically detects when you Work, Play or Watch movies, and prevents other apps from slowing you down. Make online transactions from a unique, dedicated browser, that secured your accounts from fraud. Bitdefender Safepay™ can now also automatically fill credit card details in billing fields. Active Virus Control is a proactive, dynamic detection technology. It monitors processes’ behavior in real time, as they are running, and tags suspicious activities. If e-threats, such as rootkits, cannot be removed from within the Windows operating system, the computer is re-booted in Rescue mode — a trusted environment which is then used for cleanup and restoration. With a single click, the vulnerability scanner automatically warns of vulnerable or outdated software, missing Windows security patches, and potentially unsafe system settings. Displays your overall security status for the past week, as well as the total issues fixed by Bitdefender since installation. Includes freed up space, optimized apps and remaining available storage. Enables you to keep track of all of your security-related tasks, plus lets you quickly and easily drag-and-drop files for quick scanning for viruses — right from your desktop! Remotely scan and fix security issues on all of your Bitdefender-protected devices from anywhere, using MyBitdefender. the Autopilot makes the security-related decisions for you! 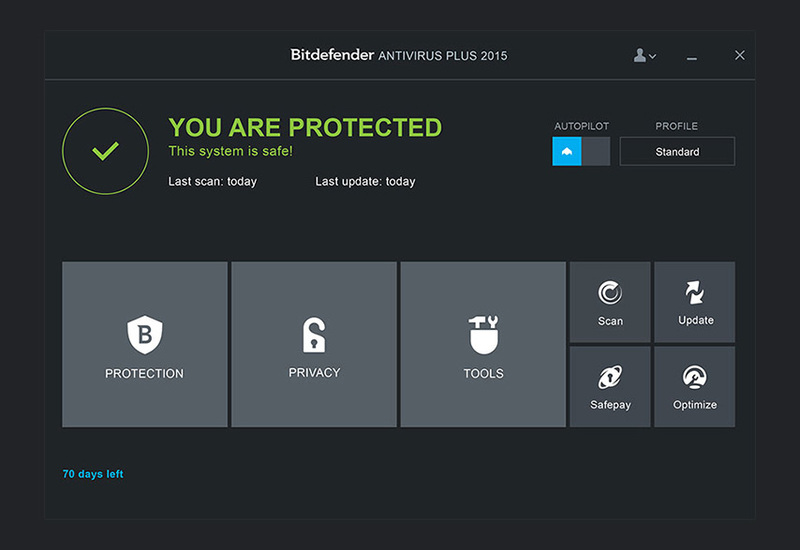 Bitdefender Antivirus Plus 2015 automatically detects when you Work, Play or Watch movies, and temporarily prevents apps from popping up or slowing you down. You trust your online friends. But do you trust their computers? Protect yourself, and your friends, from e-threats that attempt to exploit the trust between you. Bitdefender Antivirus Plus 2015 tells you if a link is safe even before you click it in Google and Bing search results. Furthermore, it blocks access to infected links that you have already clicked. Threats to your privacy keep diversifying. Your e-mail, your messaging, your entire Web presence and activities can be targeted. 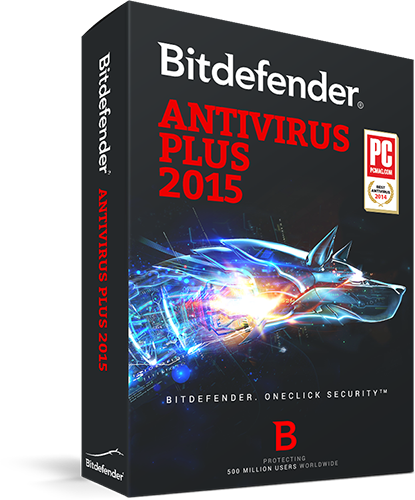 Bitdefender Antivirus Plus 2015 addresses them all, protecting your data with a range of specialized modules and functions. Bitdefender Wallet is a secure tool that speeds up online shopping by autocompleting credit card details within payment fields. Apart from purchase details, Wallet can also safely organize credentials for favorite websites, messaging applications, or frequently-used WI-FI networks. Prevents critical data (such as anything even resembling your social security number) from ever leaving your computer. Ensures that no traces of your deleted sensitive files remain on your PC. Bitdefender uses unprecedented scanning speed and eliminates the risk of slowdowns, while detection remains at its best. Innovative, exclusive technology that visibly improves speed and performance in a matter of hours by gradually adapting to each PC. Your antivirus isn’t slowing down your computer. So what is? 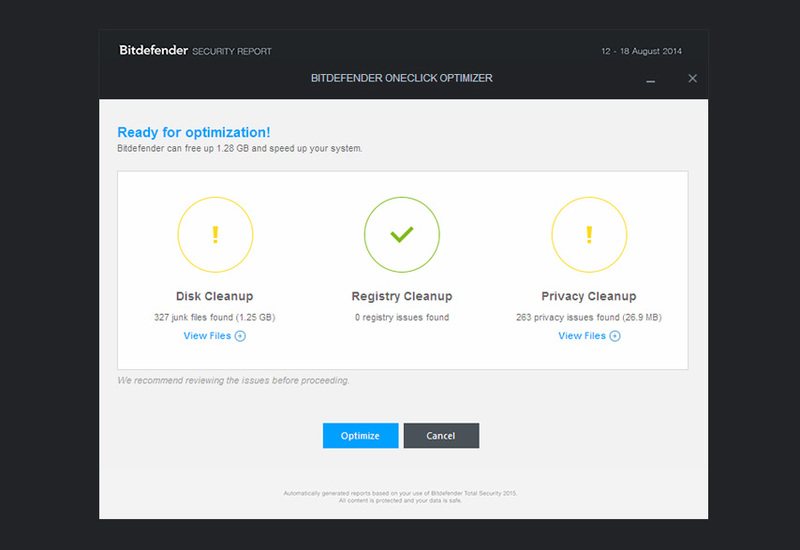 Bitdefender OneClick Optimizer is a new feature in Bitdefender Antivirus Plus 2015 that automatically speeds up your system and frees up disk space by running every known optimization. All in one click. The Offer You Are Searching For Has Expired! Discover Our Latest Offers On bitdefender.com!